Many of a windshieldâ€™s safety benefits are obvious, such as providing good visibility and keeping out weather and debris, but several are not. For example, the automobile windshield is incredibly strong and designed to get stronger under stress. That strength is key to protecting everyone in the vehicle. 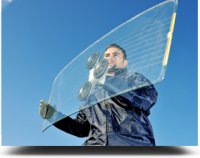 Not only are windshields engineered from non-shatter glass, but if the vehicle were to overturn, they are strong enough to keep the roof from caving in on the heads of passengers. In a collision, a windshield also helps stabilize the airbags to maximize their effectiveness. At Temecula Auto Glass, windshield repairs usually take less than 30 minutes to complete. A damaged windshield requires immediate attention, but doesnâ€™t necessarily need to be replaced. Our technicians are experts in the techniques that restore the structural integrity of your windshield and prevent the damage from spreading. 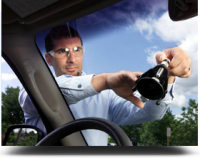 Contacted quickly, Temecula Auto Glass technicians can repair quarter-size chips and cracks the size of a credit card, all without removing and replacing the glass. Repairing your windshield may be FREE. If you have comprehensive coverage, most insurance companies will waive your deductible, leaving no costs for you. Temecula Auto Glass’s technicians are trained in the latest repair techniques and technology, and perform thousands windshield repairs each year. All Temecula Auto Glass repairs are backed by our Lifetime Warranty. We guarantee repairs will pass any state inspection, and will not crack or spread. Temecula Auto Glass is recognized by all major insurance carriers as an approved and preferred provider of windshield repair services. Our staff is trained to answer any questions that you might have, and we will help you through the entire process. All that you need to have is your proof of insurance card. Temecula Auto Glass will handle all of the paperwork for you. Got something to say? Give us your Feedback.